He has not been well-received. 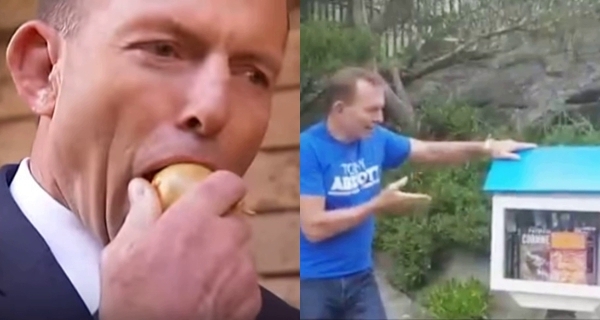 In an attempt to use humour to connect with voters, Conservative lobby group Advance Australia has revealed their plans to campaign with satirical mascot Tony Abbott. With Abbott’s rich history of satire along with his uncanny ability to create headlines not even the best satirical writers could invent, you would think the new strategy would be a sure-fire winner. Tony Abbott, minister for women. UN official ‘talking through her hat’ on bushfires and climate change, says Tony Abbott. “Difficult things happen”: Tony Abbott defends Sri Lanka. Tony Abbott’s business adviser says Australia taken “hostage” by “climate change madness”. No more national parks as Tony Abbott pledges to support loggers as the “ultimate conservationists”. Sadly for conservatives and their mascot, what with the rise of white supremacist violence and the climate apocalypse bearing down on us, voters just aren’t so keen on joke candidates.